Hey everyone, im aware this doesn't really need a thread on how to do it but ive found a great product to use. My arm rests were filthy like most on them these days, I didn't think to take a pic at the start but i did half way through and at the end. 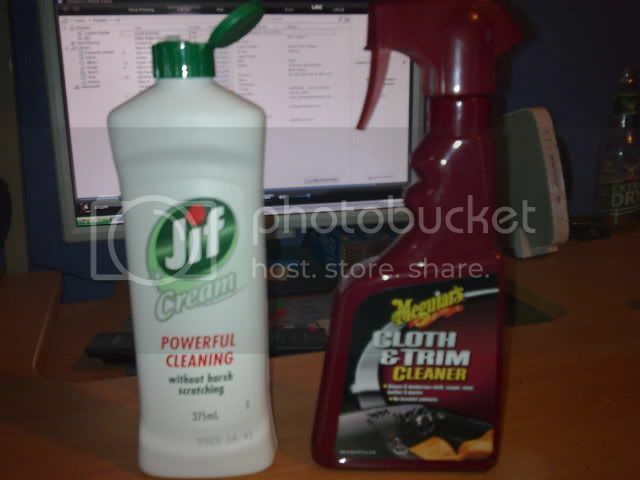 so what you need is some jiff (cleaner) and some sort of interior cleaner also a few chux cloths. Last edited by -pumba-; 17-04-09 at 23:37. I use jiff for that kind of stuff. Pretty self explanatory though. But yeah I do the same, jiff then water on a wet cloth to remove the white remains. i use soapy water and an old toothbrush for the cleaning part. once done you just use an armourall type product (silicon spray is fine aswell) to rejuvenate the plastics. 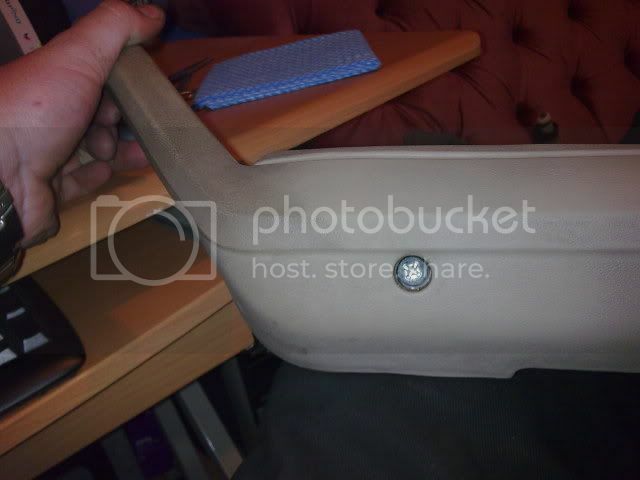 it should be noted that its better to do this with the armrest off and that there are 2 phillips heads screws underneath and for the calais / berlina style front armrests there is also an additional clip once these are taken off. 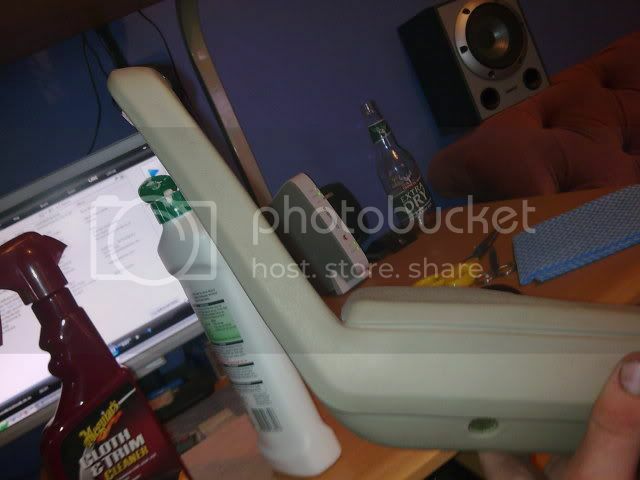 just swivel the armrest until it pulls straight out. the same method of cleaning can be used on any plastics in the car. best thing to use is suger soad. you know the stuff Mechanic’s use to get oil off there hands. Use that with a dry cloth and then wipe over with a wet cloth to get that sandy stuff off. Works the best with less effort. I use tee tree oil with some soft cloths to clean them. Does anyone know what works best for cleaning the cloth trim on the doors (calais interior). Turbo3000; try woolwash, my doortrims are beige and were filthy. Can get it at any supermarket, mix it up in a spray bottle with hot water as per the directions on the bottle should say, spray it on pretty generously and give it a really good scrub with a cloth. Comes up a treat mine look brand new. as the other guy said sugar soap works pretty good with the right ratio to water with the use of one of those small rectangle nail brushes thatyou can get from coles or woolies. then after that use a cloth with the soap then with water to rinse off. thinners does work ok but i wouldnt recommend it as it can soften what your cleaning and you can end up taking away the pattern in the part your cleaning. never use a scourer or scotch bright pad. Degreaser works fantastic on all plastics and trim also.